Within the species-rich Laniatores (Opiliones= harvestmen), phylogenetic data supports an early-diverging Travunioidea, which includes Holarctic taxa from east Asia, North America, and southern Europe. This clade currently includes 45 species in 24 genera, but available evidence indicates that a large number of species remain undescribed. Travunioids are short-range endemic (SRE) taxa – small-bodied, habitat-specialized, and dispersal-limited – most travunioid species have very small geographic distributions, thus warranting conservation attention. Our research will address three primary Objectives: I) We will utilize NGS-based sequence data in multilocus species delimitation and species tree inference. II) We will combine extensive field and museum work with integrative taxonomic methods to discover and describe new species in seven primary travunioid clades. Multilocus phylogenetic data will be combined with the study of morphology for species delimitation. III) We will use travunioid datasets to empirically compare methods of multilocus species delimitation, with particular emphasis on the variables of geographic sampling and extreme population genetic structuring. The grant will serve to train one postdoctoral researcher, one PhD student, and at least one undergraduate student. Trainees will work with PI Hedin and two of the most prominent harvestmen researchers in the world, including Dr. Nobuo Tsurusaki (Tottori University, Japan) and Darrell Ubick (California Academy of Sciences) – this training represents a tremendous opportunity to transfer taxonomic knowledge across generations. 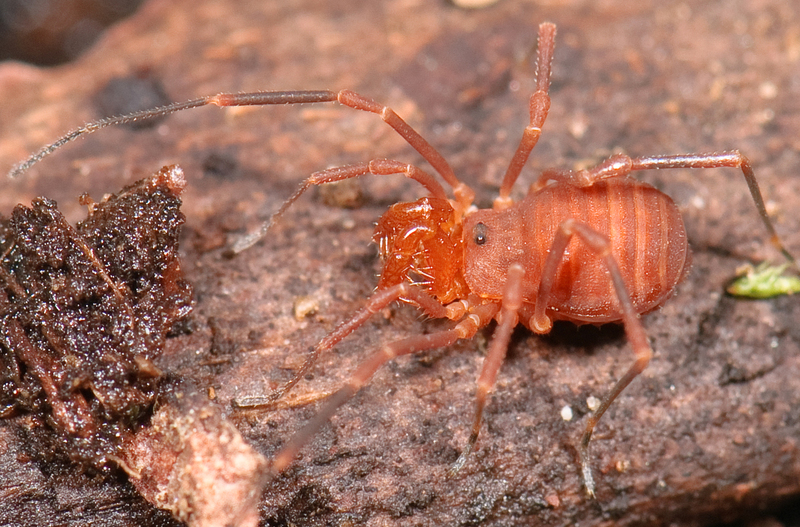 We will also build Web resources to help interested persons learn more about these animals, and Hedin will host a Harvestmen Workshop in the mountains of North Carolina, Summer 2015. Super cool stuff, as always!